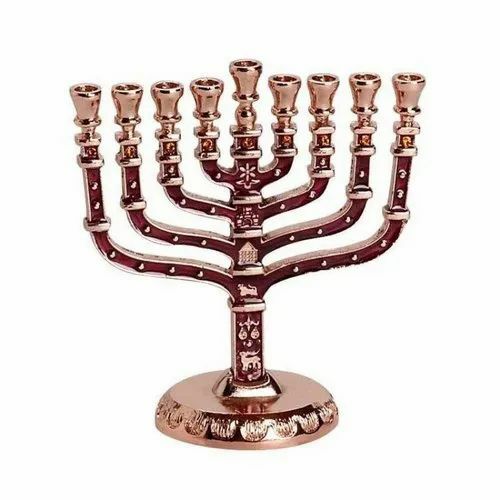 We are a leading manufacturer and exporter of Jewish festival items like Chanukah Menorah Candle Holders in brass, aluminium and copper. We have a varied collection of finishes like Polished Brass, Pewter finish, silver finish, etc. We welcome designs from our customers to develop exclusive design range of products for Jewish festivals and holidays. 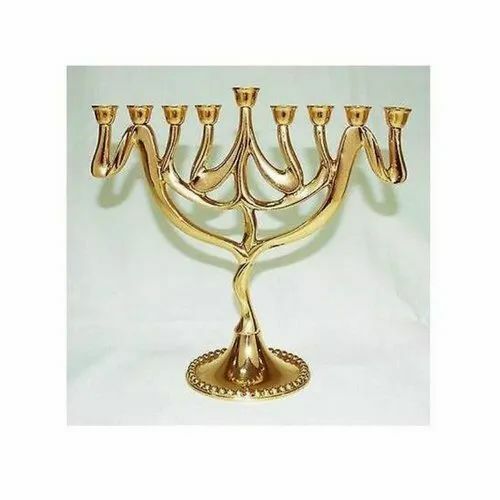 Chanukah Menorah in Brass or Aluminium. Antique Jewish objects for Hanukkah.With shamash. Nine-branched and seven-branched menorahs for the Jewish festival Hannukah. 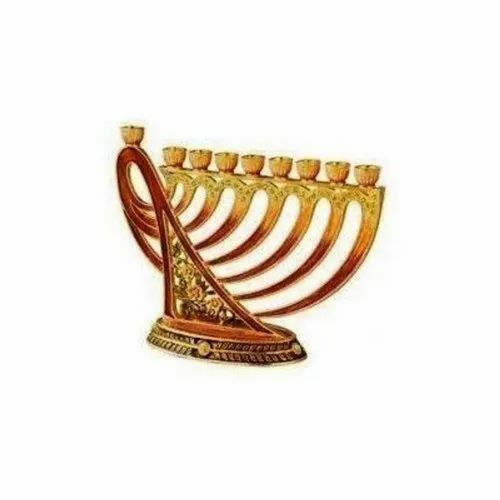 Hanukkah Jewish festival Menorah for sale in various metals with various finishes. 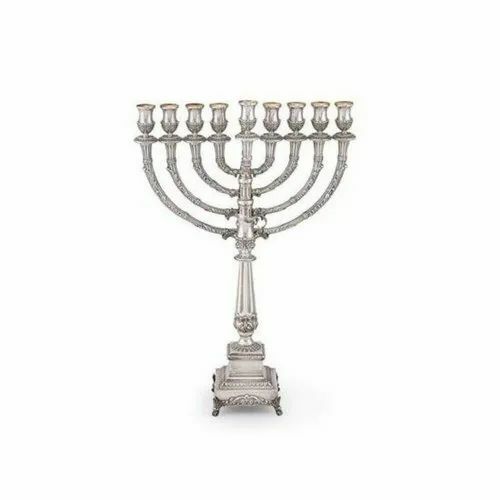 Menorah Candleholder for religious as well as domestic use available in various metals and finishes. Brass Channukiah Menorahs for Hanukkah and other religious and domestic use. 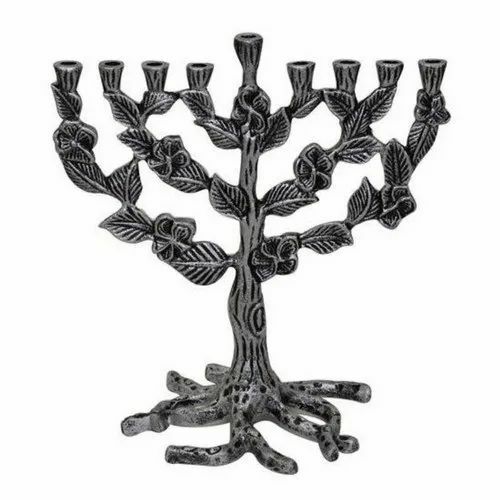 Jewish Menorahs-Nine branched and seven branched for Hannukah and as a centerpiece. 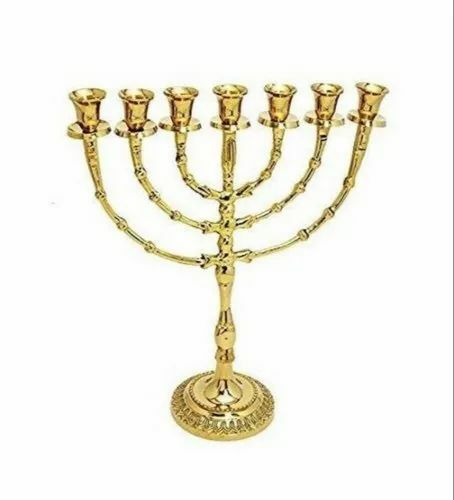 Menorah Channukiah Hebrew used for Hannukah and other domestic and religious use. 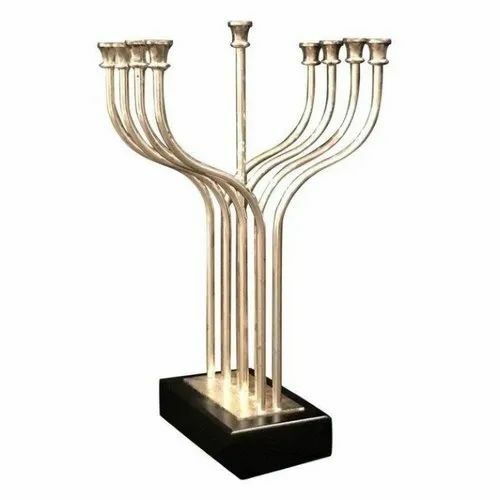 Seven-branched and Nine-branched Menorah for Jewish festival Hannukah in Brass and Aluminium. 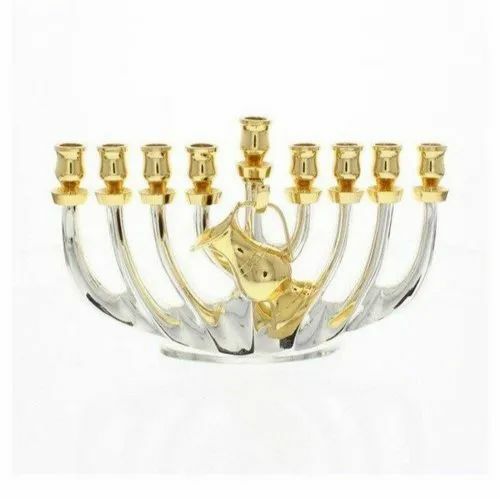 Designed for Hannukah in good-quality Brass and Aluminium in Moradabad-India in various colors and sizes. 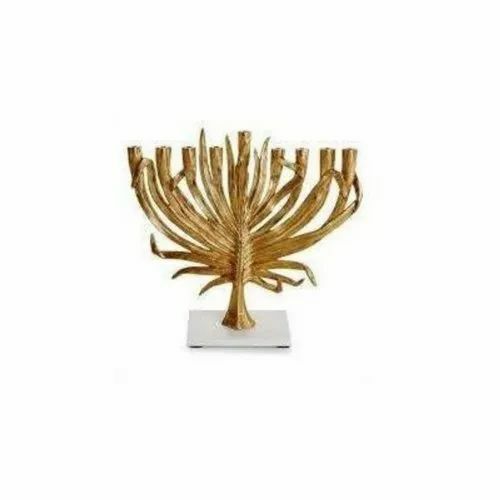 Seven-lamp (six branches) ancient Hebrew lampstand in Aluminium or brass. 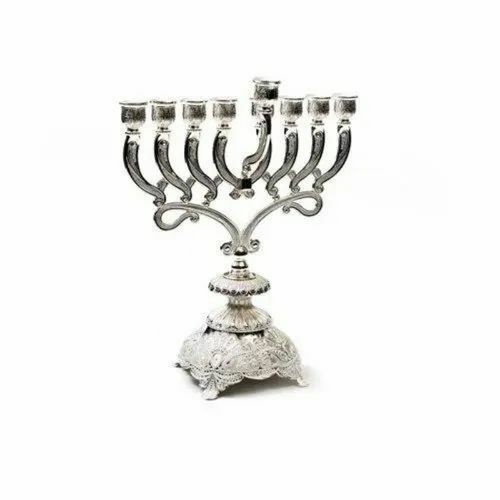 Antique Jewish objects for Hanukkah.With or without shamash. 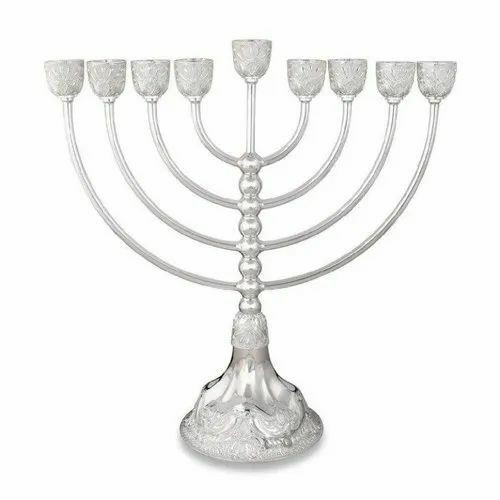 We have an amazing collection of menorahs to offer to you. 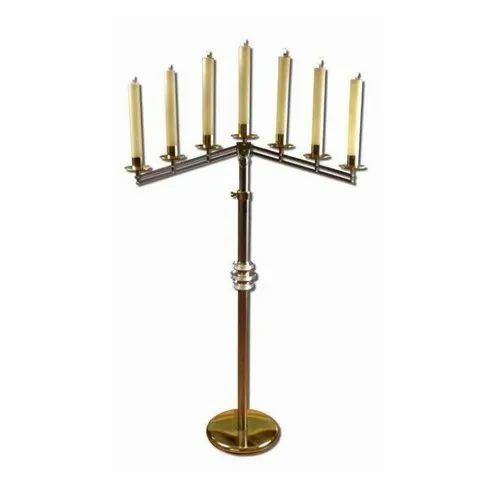 This particular item is a wonderful nine-branched candelabrum made of superior quality nickel obtained from reliable and trusted sources. Its antique design makes it so adorable. 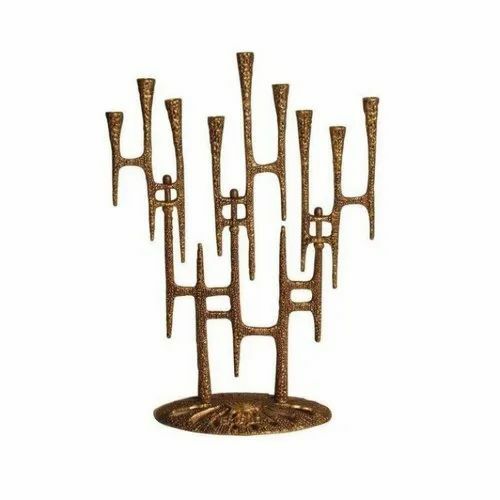 This piece of art has been specifically designed to suit the décor of your beautiful home. 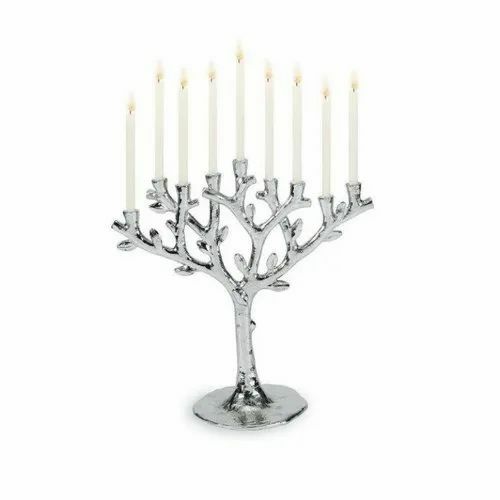 What better time to celebrate the beauty of your house other than the Hanukkah and on top of that with this unique nickel menorah. With an eye for posterity, these menorahs are made to last for generations. 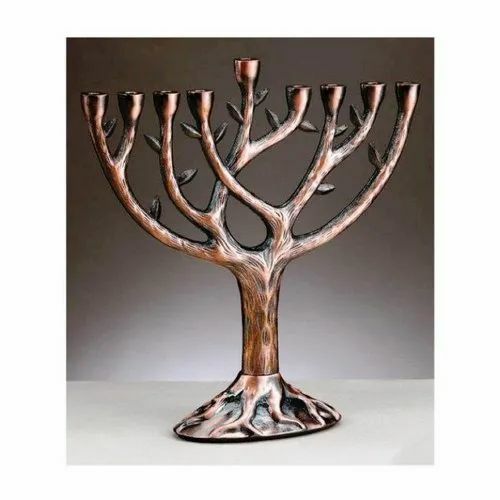 These handcrafted menorahs are designed by leading artisans and experts and they are subject to customization in accordance with our clients’ specifications and needs. 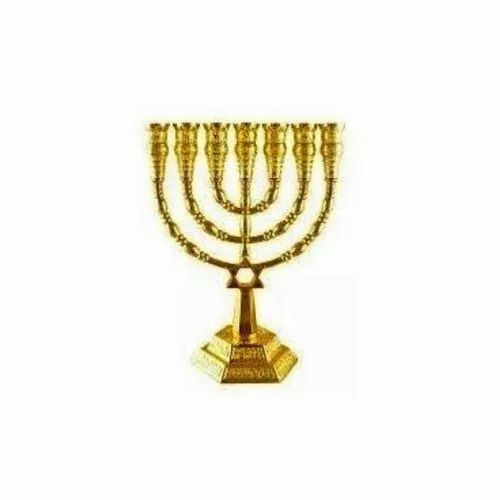 Wholesale Metal Menorahs to buy and use for Hanukkah and other Jewish festivals along with domestic use. 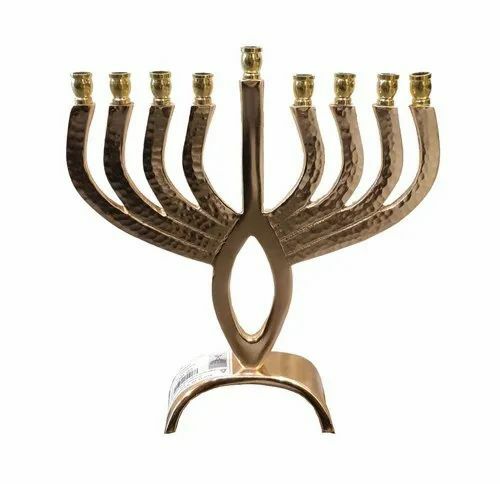 Menorah Channukiah for Hannukah and other Jewish festivals in aluminum and brass. 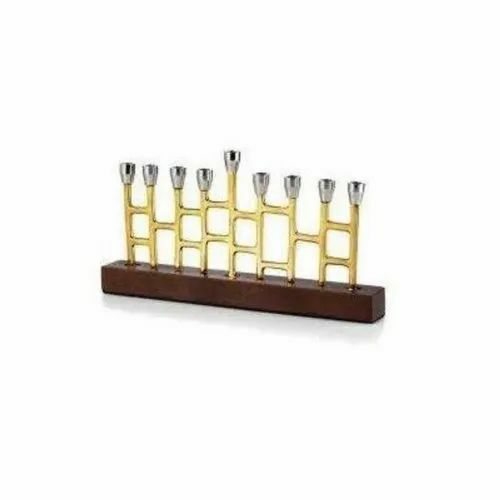 Chanukkah menorah for various Jewish festivals and other temple uses.It can also be used at home as a centerpiece. 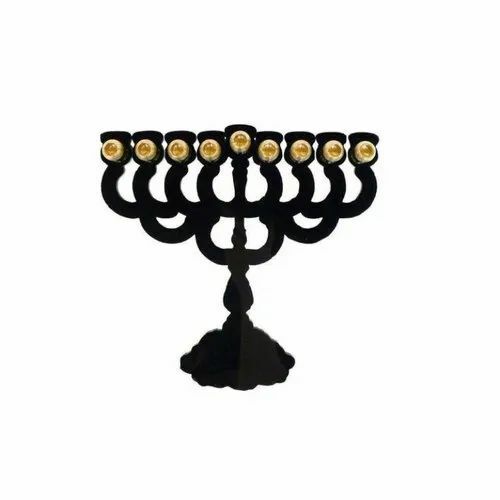 Chanukkah Menorah for Hannukah Jewish festival and also used in Judaism temples. 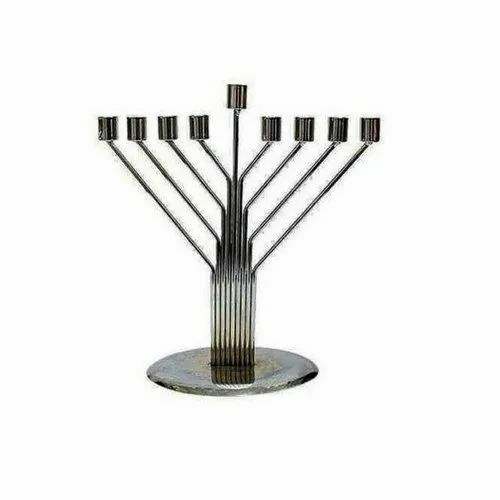 Menorah that are available in any design required by the customer.We make menorah in all sizes and colors and finishes in metal. 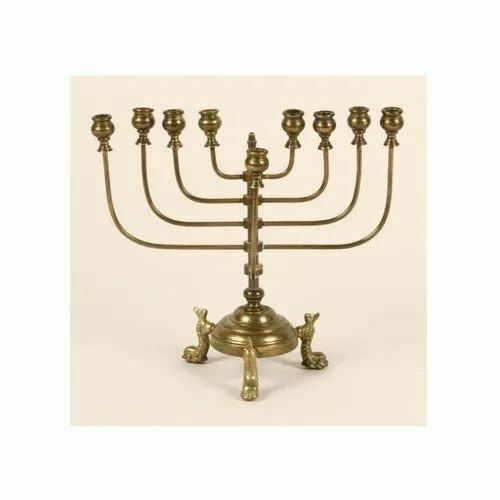 Antique Menorah Wholesale used for domestic use and religious uses for Hannukah and Jewish temples. 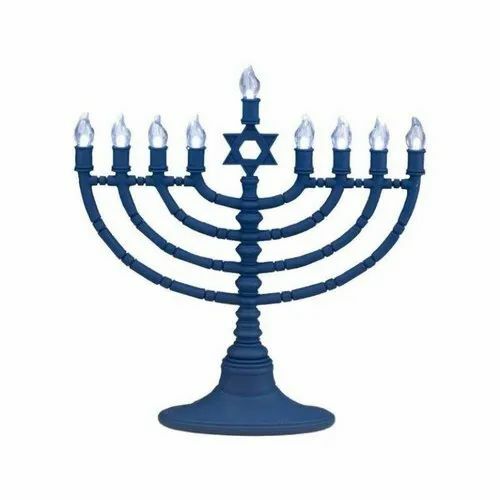 Menorahs for Hannukah and other domestic and religious use at wholesale price and quantity. 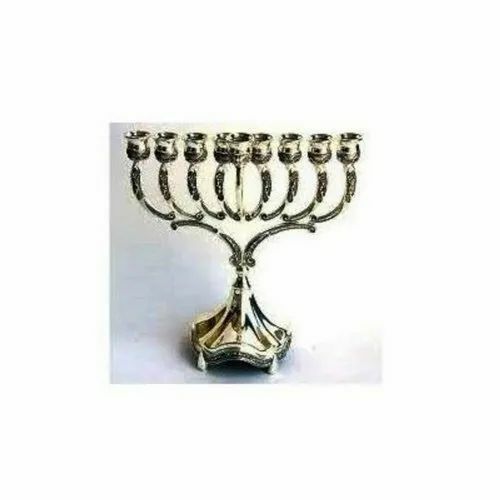 Simple but Vintage Brass and Aluminium Menorah for Jewish Hannukah available in very good quality for wholesale. 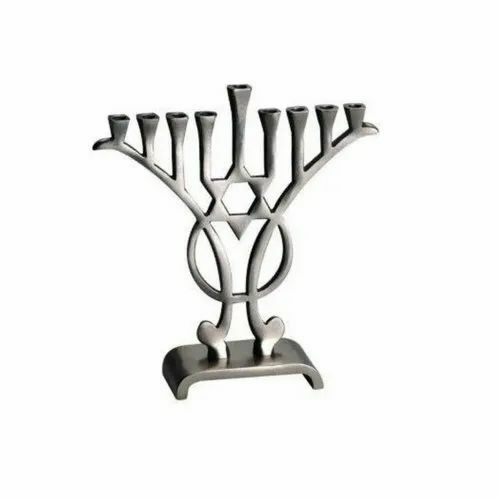 Classic Metallic Menorah for Hannukah and other religious use.Candle Holder seven-branched and nine-branched. 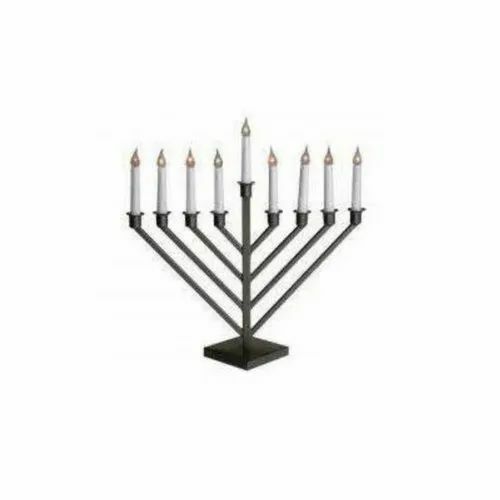 Looking for “Chanukah Menorahs Hanukkah for Jewish festivals”?